The Texans will look to extend their winning streak Thursday as they head to Ford Field to take on the Lions in the first of three Thanksgiving Day games. On paper, this looks like a battle of two pretty good offensive clubs, but the Lions have yet to really show it this season. Detroit is 4-6, and again last week they played a competitive game, but were short on the scoreboard losing to the rival Packers at home 24-20. Matthew Stafford, who hasn’t been all that great in 2012, completed a season-low 43.6 percent of his passes (17 of 39) and one of his two interceptions was returned for a touchdown. The Lions, who have lost eight in a row on Thanksgiving since beating Green Bay in 2003, had four turnovers in all, bringing their season total to 18. As for the Texans, they Houston (9-1) ranks among the NFL’s best defenses with 18.0 points and 299.2 yards allowed per game, but struggled to contain woeful Jacksonville in a 43-37 overtime victory Sunday. The Texans, they hadn’t allowed a touchdown in their previous two games, but needed record-setting performances from Matt Schaub and Andre Johnson to help them rally from a 14-point deficit in the fourth quarter vs the one-win Jaguars. Schaub passed for 527 yards, tied for the second-most in an NFL game, and a franchise-best five touchdowns. Johnson posted career highs of 14 receptions and 273 yards – the most in the league since 2000 – and scored the winning touchdown in the extra period. The Texans, though, gave up a season-high 458 yards with Jacksonville’s backup quarterback Chad Henne throwing for 354. 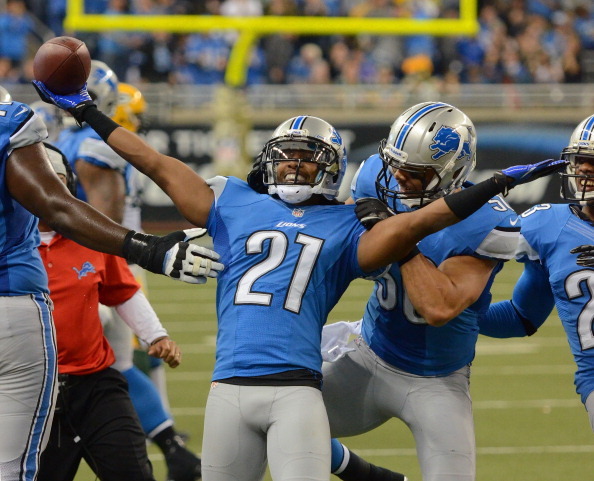 If the Houston defense can get back on track, they should hold the Lions offense in check most of the afternoon. Stafford and the Lions haven’t played well against good teams, and that should continue here. Look for the Texans to keep up the winning ways, moving to 10-1 with a solid win over the Lions as they enjoy their Thanksgiving on the road. Who Wins the Turkey Day Battle – Texans or Lions?